Douglas W. Schwartz, President Emeritus of the School for Advanced Research (formerly the School of American Research), died in Santa Fe, New Mexico, on June 29, 2016, at the age of 86. With his passing SAR lost its most important president, a leader who transformed a small regional institution into a prominent center of research in anthropology, archaeology and Native American Studies. Born in Erie, PA, in 1929, Schwartz received his bachelor’s degree from the University of Kentucky and his doctoral degree from Yale in 1955. After teaching at the University of Kentucky for eleven years, he moved to Santa Fe as president of SAR with the goal of revitalizing a 60-year old organization that had lost a clear sense of its mission. Schwartz quickly moved SAR beyond its roots in Southwestern archaeology toward a cosmopolitan anthropology that embraced all subfields and regions. Under his charismatic leadership, SAR relocated from the center of Santa Fe to its present campus on Garcia Street, an estate formerly belonging to Martha and Amelia Elizabeth White. His prodigious fundraising efforts led to the construction or expansion of numerous campus buildings, including the Indian Arts Research Center, SAR’s Reception Center, the Douglas W. Schwartz Seminar House and the Dubin Artist Studio, as well as the development of SAR Press. More important than the buildings he constructed were the programs he introduced—among them SAR’s advanced seminars, which since 1970 have generated scores of influential works in anthropology, history and Indigenous studies, and the SAR resident scholar fellowships, which have given more than 200 scholars the time and financial support they needed to bring their writing projects to completion. Schwartz’s scholarly work was focused on Southwestern prehistory. He undertook a pioneering archaeological survey of the Grand Canyon, followed by the first serious excavations there. After moving to Santa Fe, he launched a major study of Arroyo Hondo Pueblo, a thousand-room fourteenth-century settlement located five miles from the Santa Fe plaza, a project that resulted in nine monographs published under his editorship. He was the author or coauthor of scores of books and articles, among them, Unkar Delta: Archaeology of the Grand Canyon (1980), The Walhalla Plateau (1981), and On the Edge of Splendor: Exploring Grand Canyon’s Human Past (1989). In his later years he spearheaded the creation of the Arroyo Hondo Pueblo website, one of the most data-rich archaeology sites currently available online. Schwartz received numerous honors for leadership in anthropology, including the Society for American Archaeology’s Distinguished Service Award (1991) and the AAA’s Franz Boas Award for Exemplary Service to Anthropology (1992). He served as president of the Society for American Archaeology in 1973–1974. He was also the recipient of honorary doctorates from the Universities of Kentucky and New Mexico. Douglas Schwartz will be remembered for his extraordinary record of institution-building, his gifts as a public speaker and his remarkable ability to make anthropology accessible to the general public. He remained professionally active until only a few weeks before his death. Brown, Michael. 2016. “Douglas W. Schwartz.” Anthropology News, 57(6): 37. View a PDF with a pictorial biography of Douglas W. Schwartz prepared by Richard I. Ford (Professor Emeritus of Anthropology and Botany, University of Michigan) with the assistance of Nancy Owen Lewis (SAR), Jennifer Day (SAR), David G. Noble, and Kelsey (Schwartz) Brown. Douglas W. Schwartz received his B.A. from the University of Kentucky in 1950 and went on to complete his Ph.D. in anthropology at Yale University in 1955. He has received numerous honors, including a Litt.D. from the University of New Mexico in 1981, and another Litt.D. from the University of Kentucky in 1989. He received the Franz Boas Award for Exemplary Service to Anthropology from the American Anthropological Association and the Distinguished Service Award from the Society of American Archeology. Recently he was awarded a Luminary by the New Mexico Community Foundation. His past positions include Professor of Anthropology at the University of Kentucky, Director of the university’s Museum of Anthropology, Academic Assistant to the President of the university, President of the Society for American Archaeology, President of the Board of the Jane Goodall African Wildlife Research Institute, Board President of the Witter Bynner Foundation for Poetry, and President of the Board of Trustees for the Santa Fe Preparatory School. Doug’s major archaeological research has been in the Grand Canyon, where over a period of 20 years he did a pioneering survey and the first major excavations in the Canyon and on the North Rim. Several articles and monographs resulted from the work. He recently published a history and reexamination of his work in a volume published by the Grand Canyon Historical Society. Additional major research was on Arroyo Hondo Pueblo, a 1,000-room, fourteenth-century settlement that resulted in nine monographs published under Doug’s general editorship. 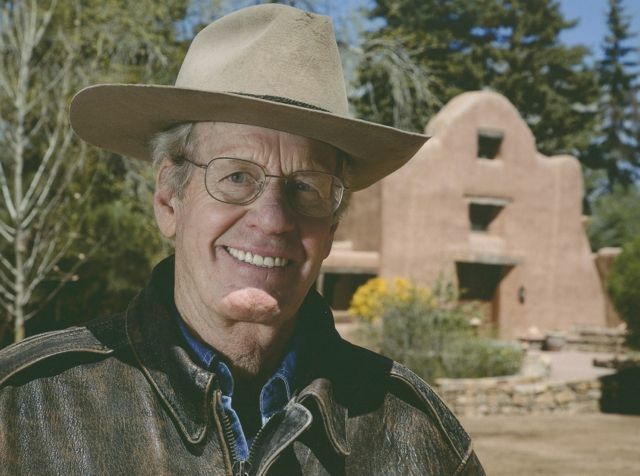 In addition to being Senior Scholar at SAR, Doug is a board member of the Witter Bynner Foundation for Poetry, board member of the First National Bank of Santa Fe, and the Advisory Board of the State of the Parks Program of the National Parks Conservation Association. Currently, Doug is writing on the early development of Charles Darwin’s creativity, and in novel form, a synthesis of his major excavations at Arroyo Hondo Pueblo.